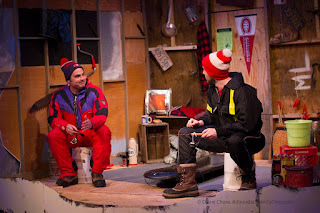 This musical had the audience laughing in our seats, whether we were fans of fishing or not. If you’ve ever wondered what really goes on in those lake ice shanties or are just looking for a fun escape, “Guys on Ice” is the perfect wintery mix. Director Kim Bouchard has altered this musical comedy to be lightly peppered with local interest. She has this trio heating up the stage in this working-class comedy, which highlights the simple things in life. 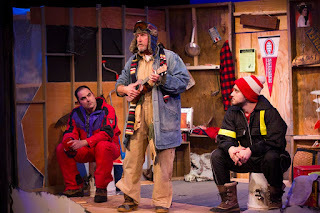 The set, designed by Kent Streed, is an ice shanty and a character in itself. Decorated with license plates, antique ice tools and Big Slide Brewery stickers, the shanty serves as a hide-away, tavern, and confessional. Streed also designed the costumes and props. He pulls in subtle touches from snowmobile chic to wearing every possible layer. Marvin (Brendan Gotham) sets the tone for an earlier morning fishing excursion when he asks his friend Lloyd (Lucky Cerruti) to be in the shanty when he is featured on a cable TV fishing show. 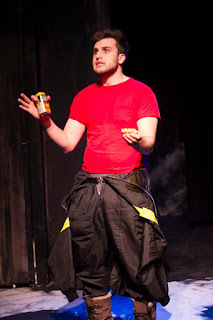 Gotham, last seen in The Community Theatre Players’ The Little Mermaid, plays Marvin flawlessly as the innocent, easy-going guy who is pinning all his dreams on this one life-altering experience. Marvin wants to become the guy on TV, who gets the girl and is able to leave his mill job. 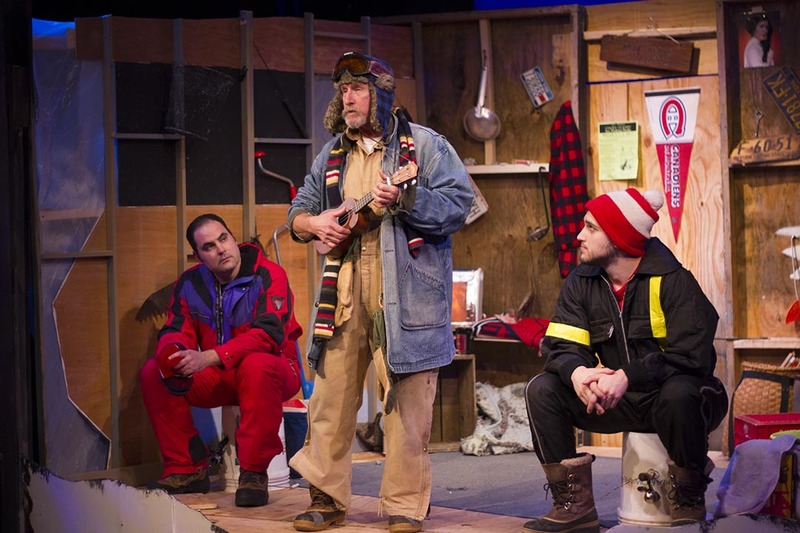 While Marvin hopes his fame will give him the courage to ask out the check-out girl, Cerruti, (a part of the 2016 Adirondack Lakes SummerTheatre Festival and Pendragon’s A Christmas Carol) creates a jaded Lloyd who is having trouble on the home front. That is the underlying story glossed over with quick one-liners, belly laughs and catchy tunes. Gotham and Cerruti are having a blast on stage and it shows. Cerruti is a magician of closing the jokes with clever glances and head turns. Gotham’s character is wild and free in the ice shanty. It’s his safe space where he can shed inhibitions, dance and become anything. 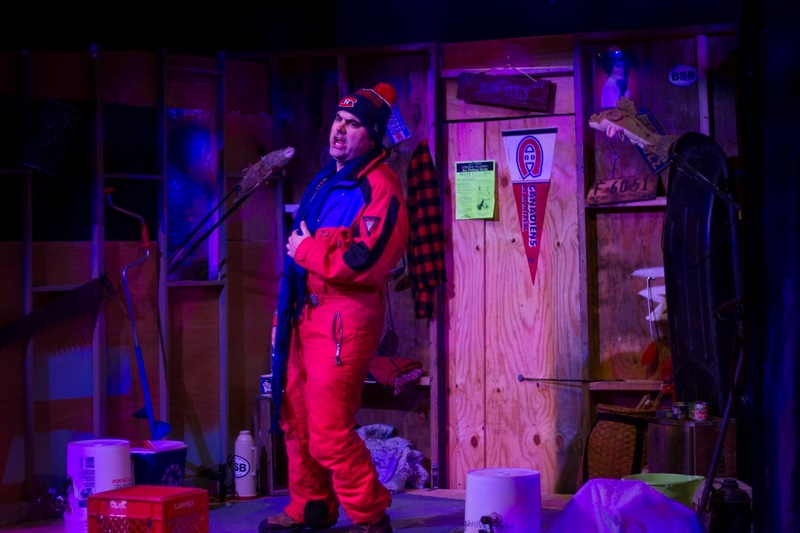 They bring the audience along for the ride whether is an “Ode to a Snowsuit,” an Elvis impression or trying to hide beer from Ernie the Moocher. 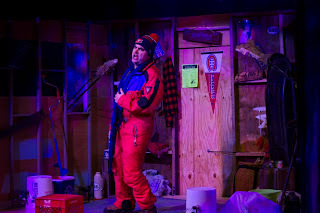 Ernie (Christopher Leifheit last seen in Pendragon's A Christmas Carol) swoops in and out of the ice shanty borrowing bait and beer. Leifheit, with ukulele in hand, adds the perfect touch of comedic relief. There is even a nice intermission game show that keeps us wanting more. 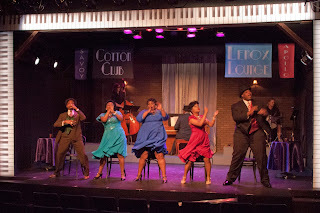 Opening Night is February 11 with subsequent shows on February 17,18,24,25 at 7:30 pm and February 12,19,26 at 2 pm. For more information please go to Pendragon Theatre.